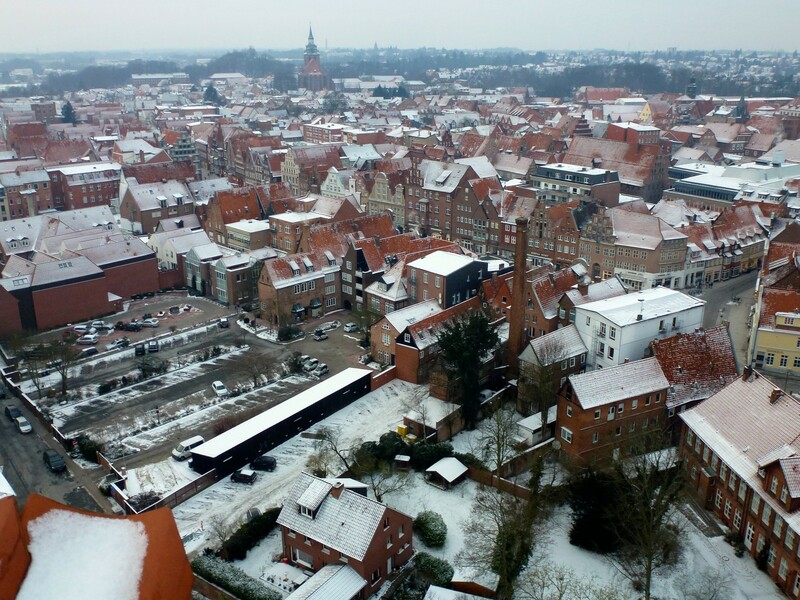 The car battery of our neighbor had suffered because of the enormous cold (minus 11 degrees) and had to be recharged. 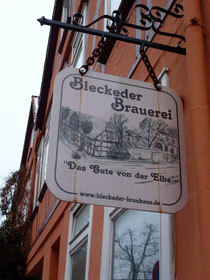 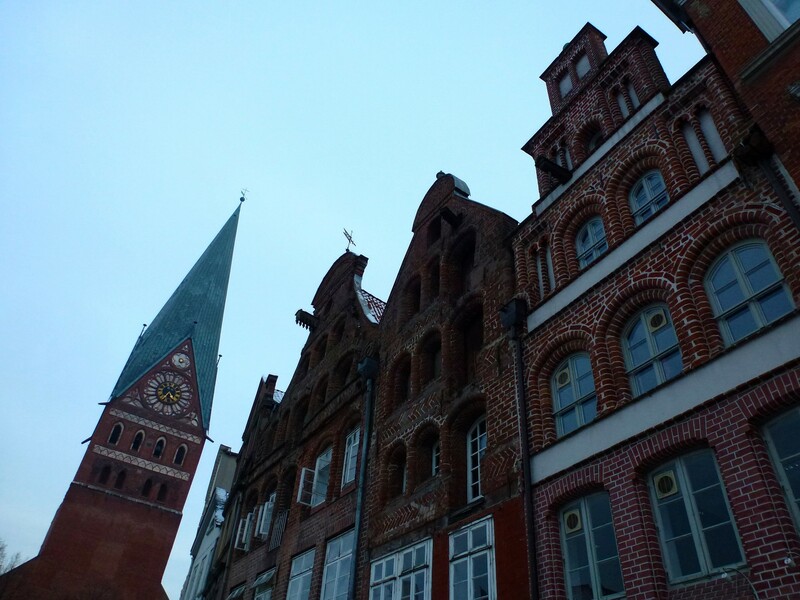 Spontaneously we drove 56 km from Hamburg on the A 39 to Lüneburg (south-east of Hamburg). 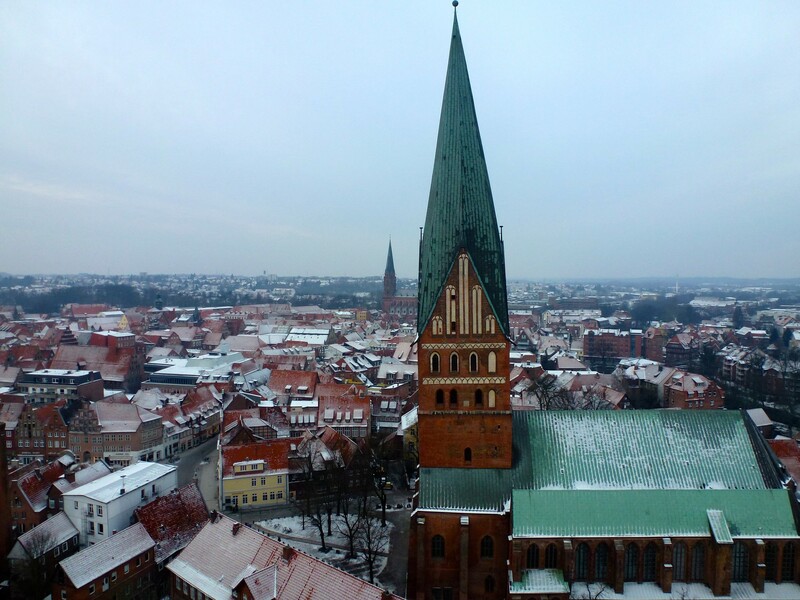 In the vicinity of the 56 m high water tower we found a car park and climbed in spite of the great coldness of the tower to enjoy the magnificent views of the town of Lüneburg. 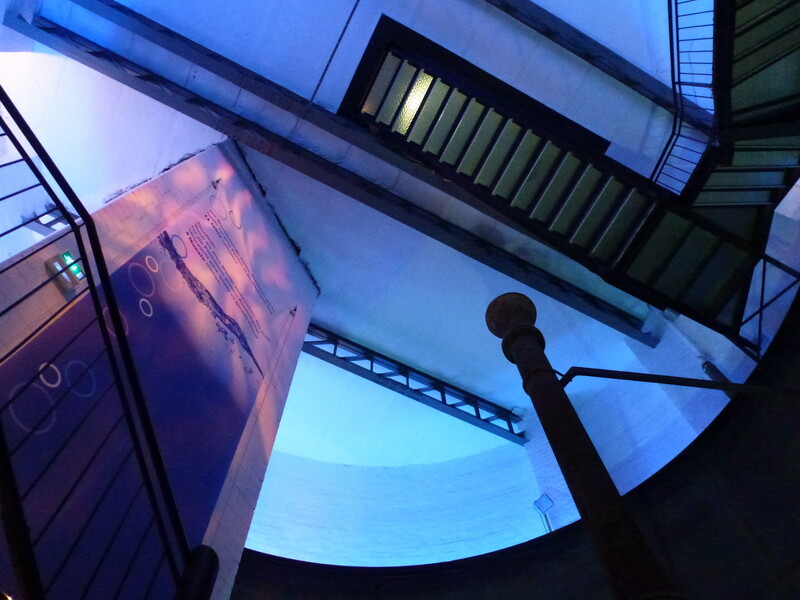 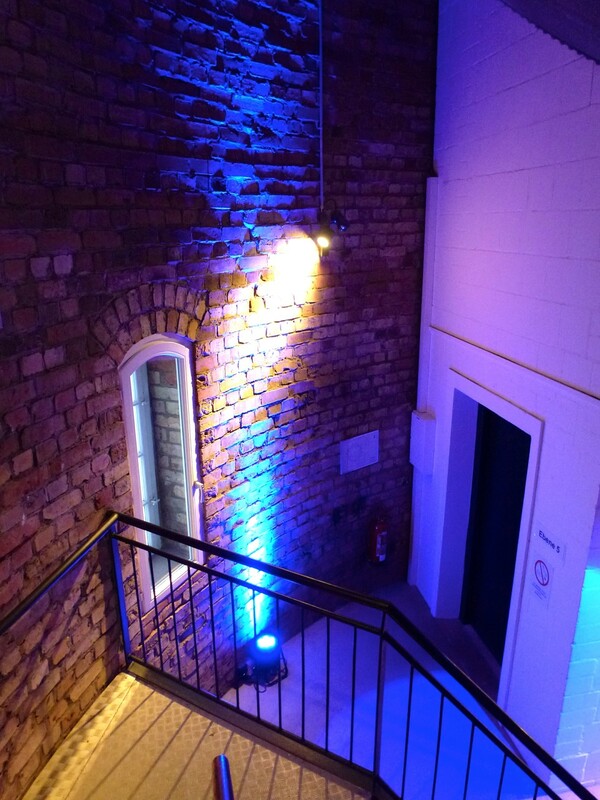 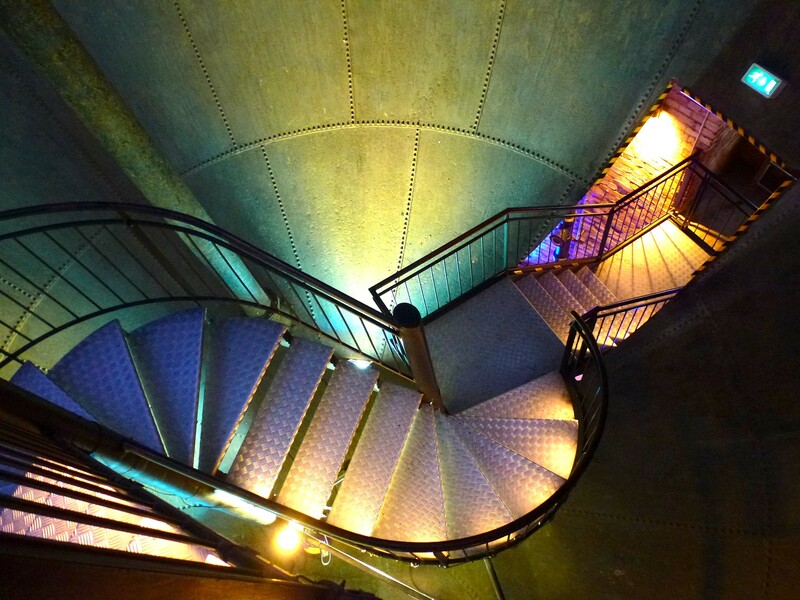 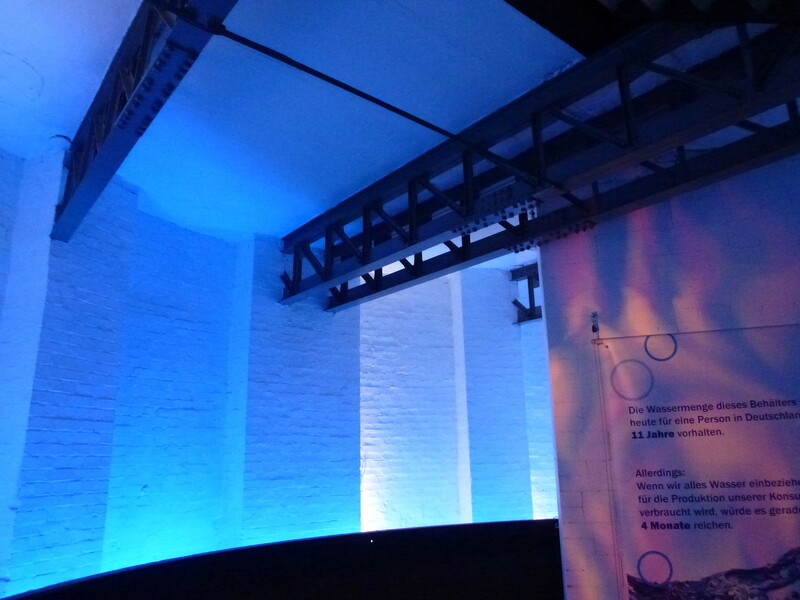 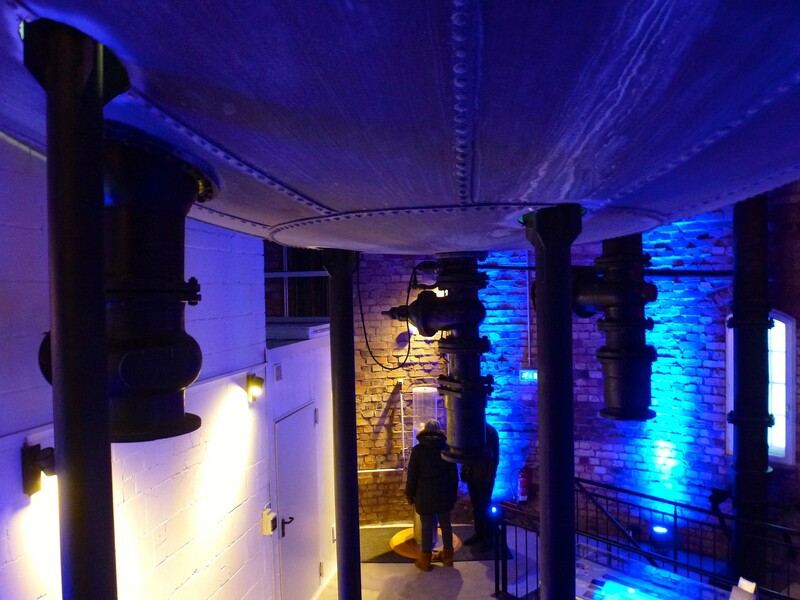 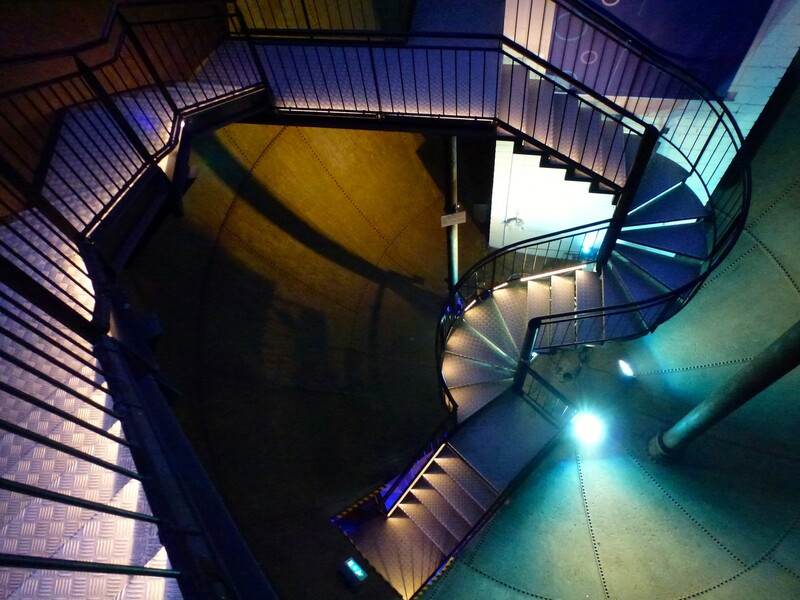 Climbing is not quite right, since you can use the elevator and then but should run down the stairs to visit the permanent exhibition "Blue Gold" and the old water tank. 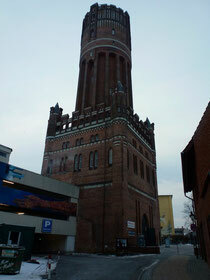 The water tower was built in the 19th Built century and in 1907 put into operation, however, he was able to quench the thirst of Lüneburg silent only a few years. 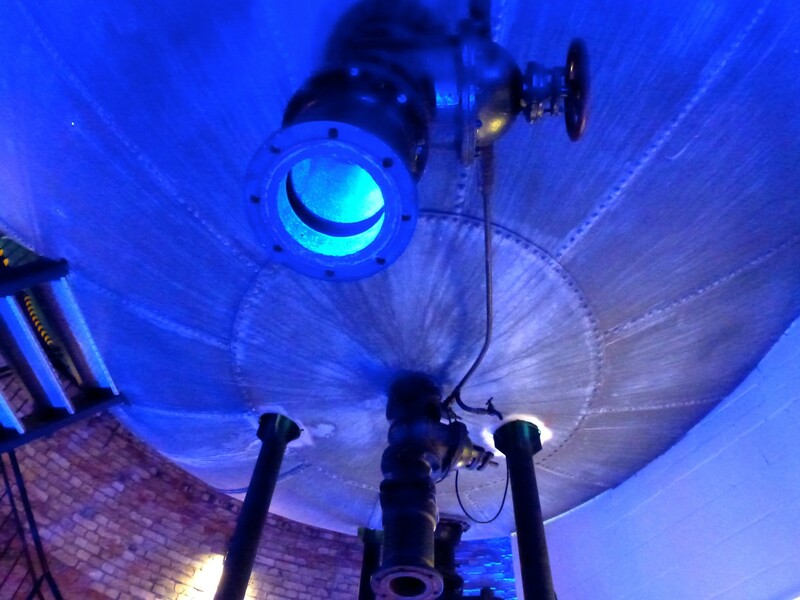 Today, he is nursed by modern waterworks. 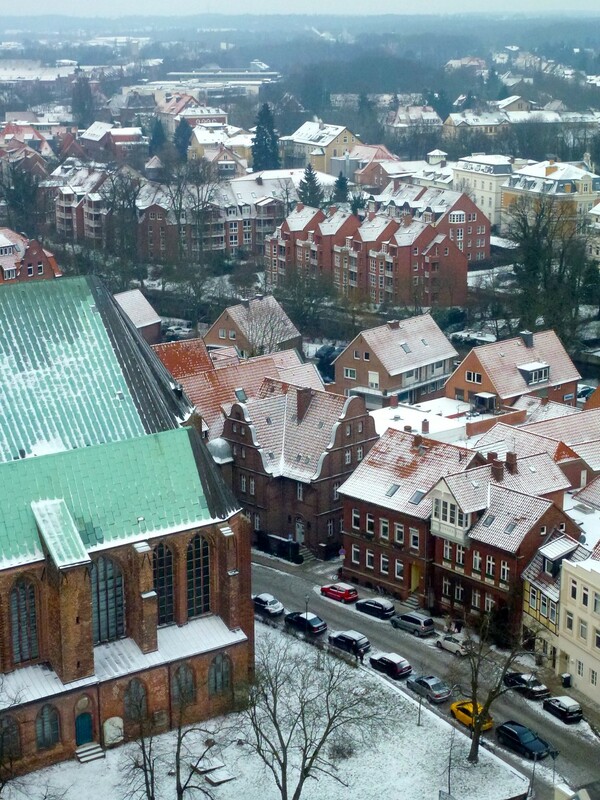 On a clear day you can see (45 km distance) to Hamburg. 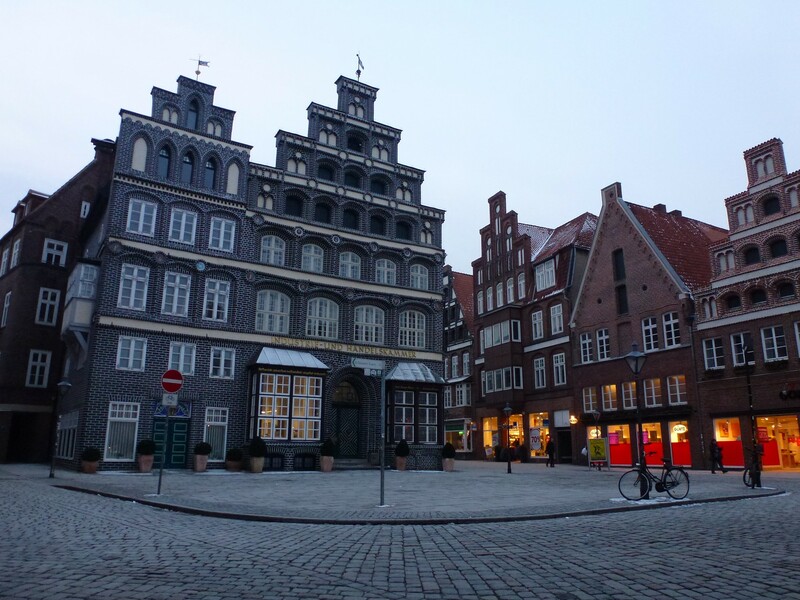 On the way to the place "Am Sande"
The water tower is visited from many high personalities, also the German Chancellor Angela Merkel. 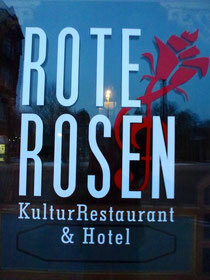 Before we go back we discover the culture restaurant and hotel in the soap opera "Red Roses" was filmed. 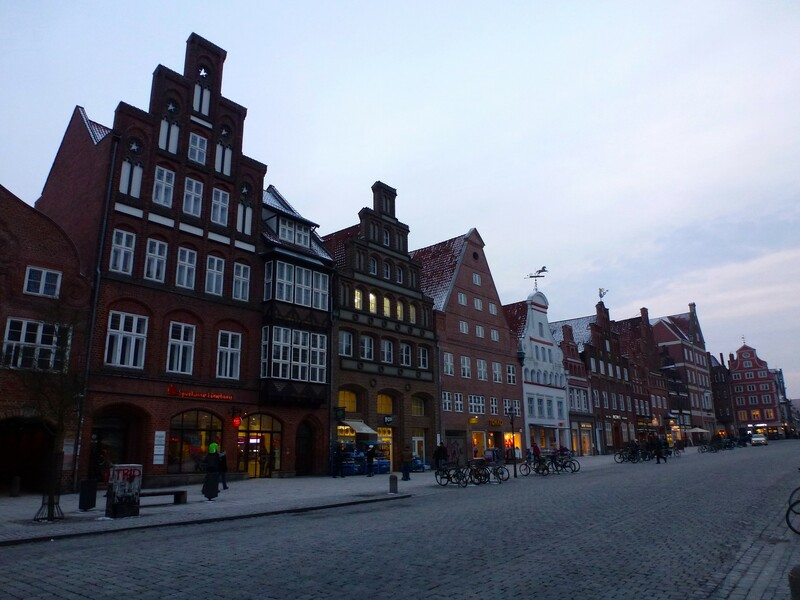 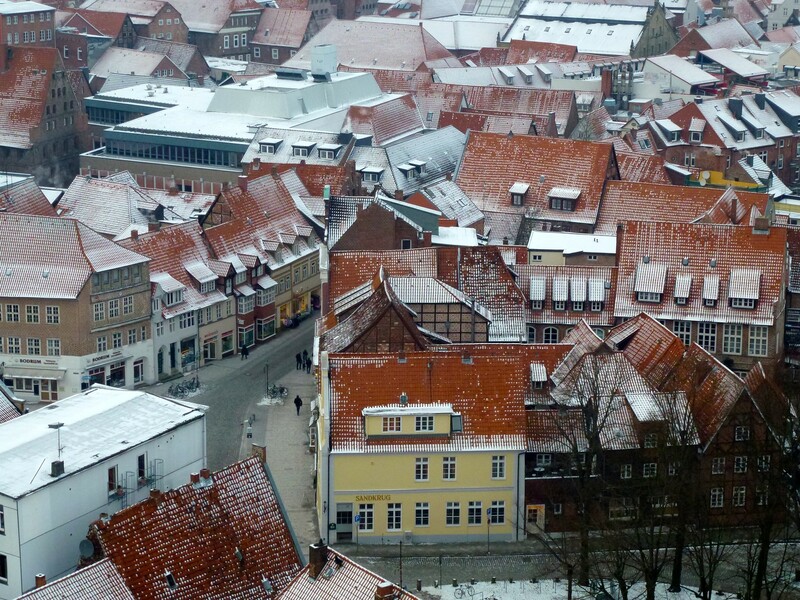 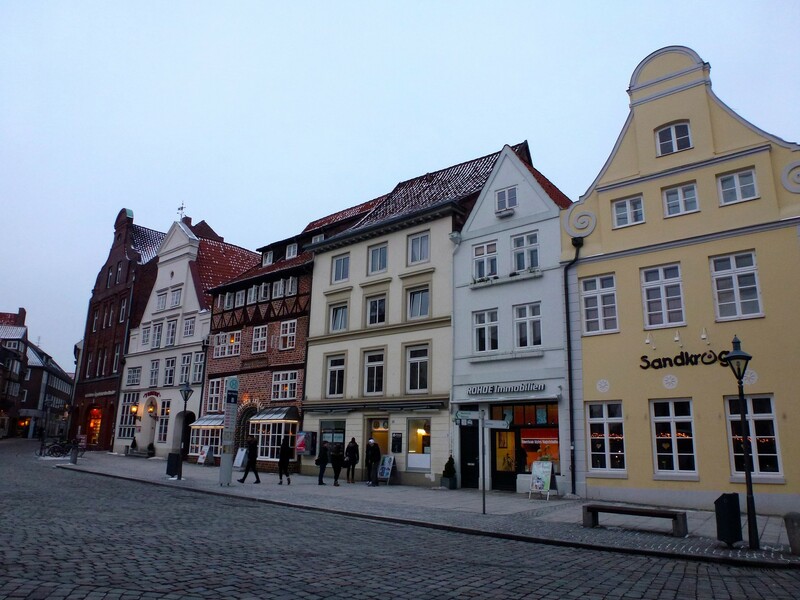 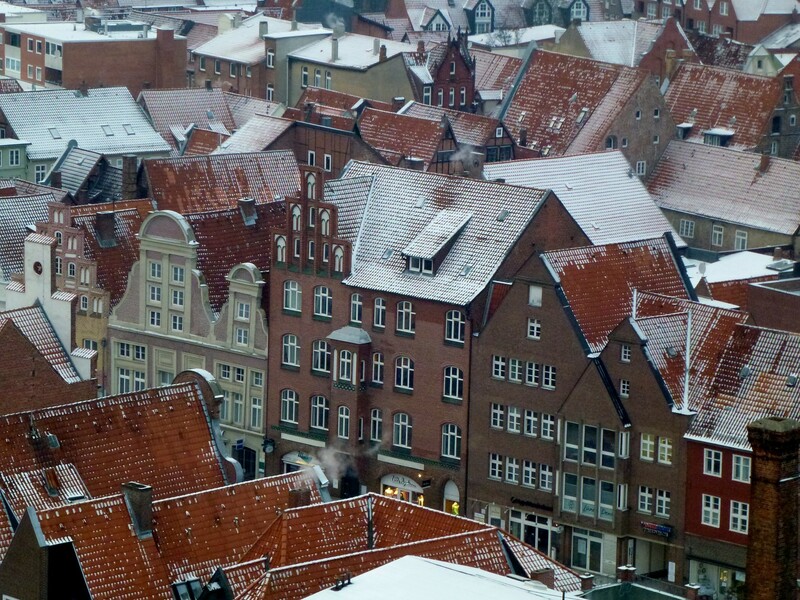 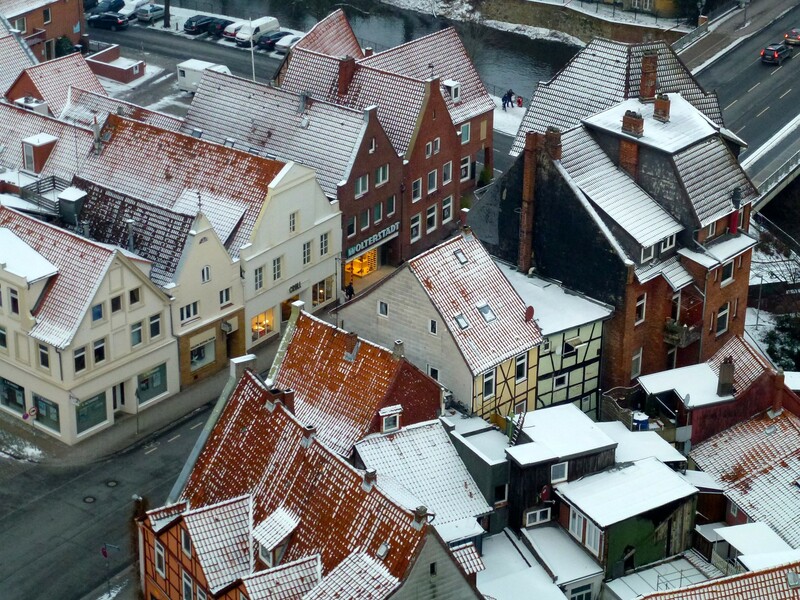 A trip to Lüneburg is not only for the Christmas market or as a jaunt to recharge the car battery rewarding, but at any time and we will certainly be in the spring when it is warmer go back to this beautiful Hanseatic city. 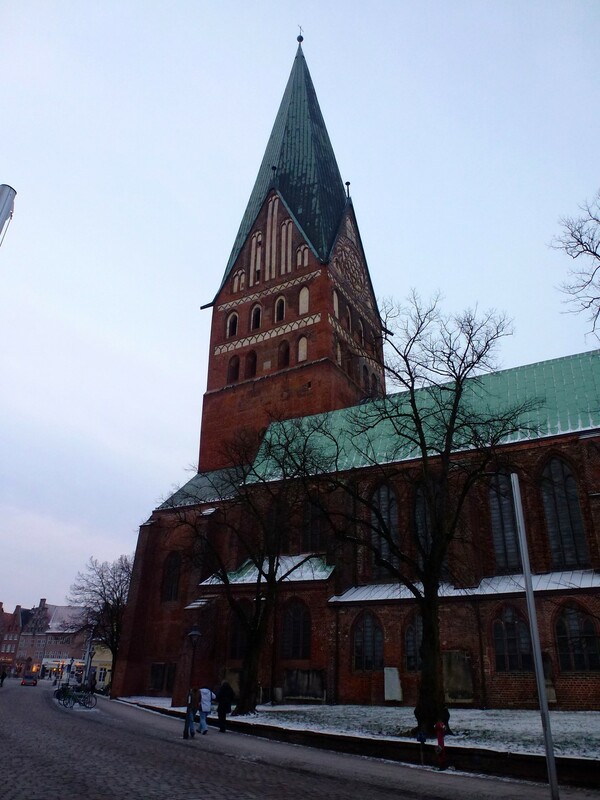 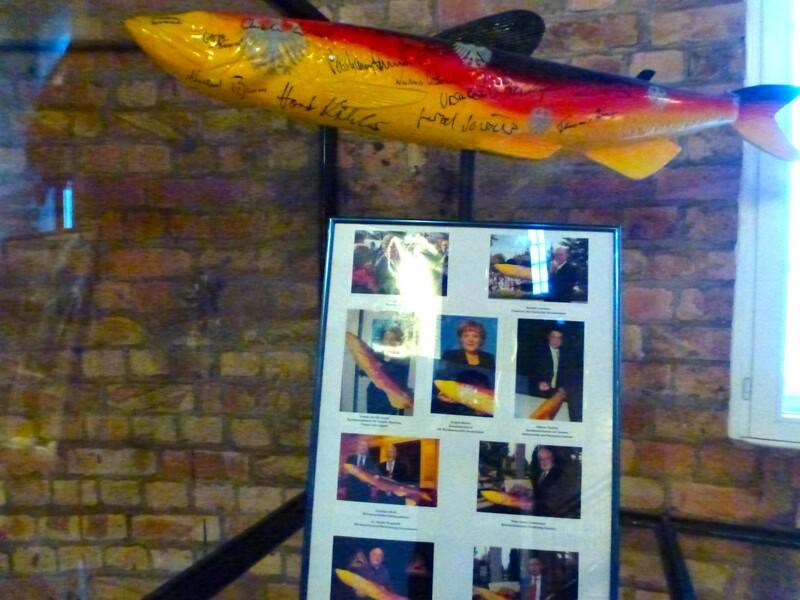 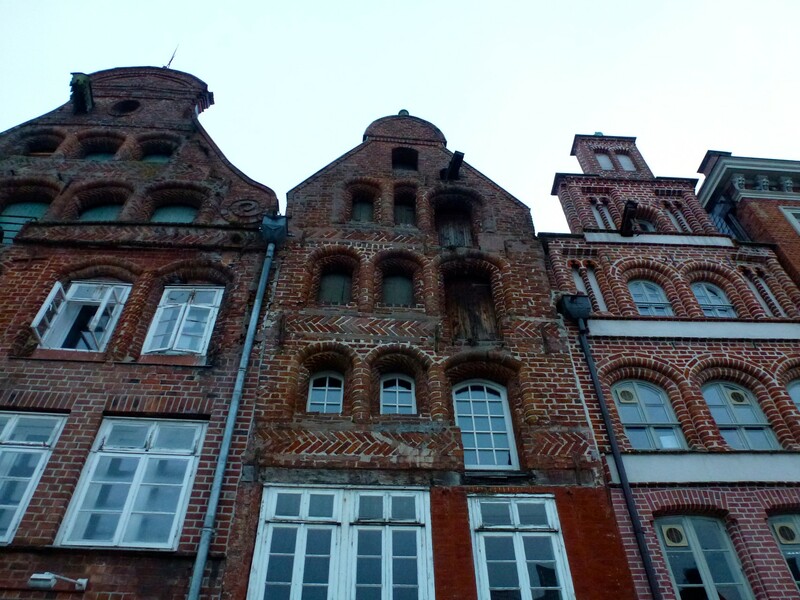 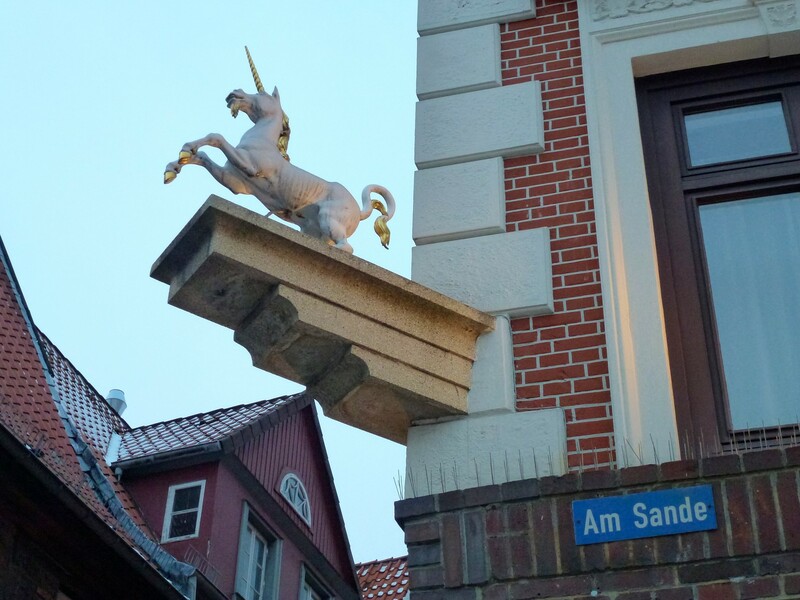 You can see and learn more about the city of Lüneburg on my side city walk.